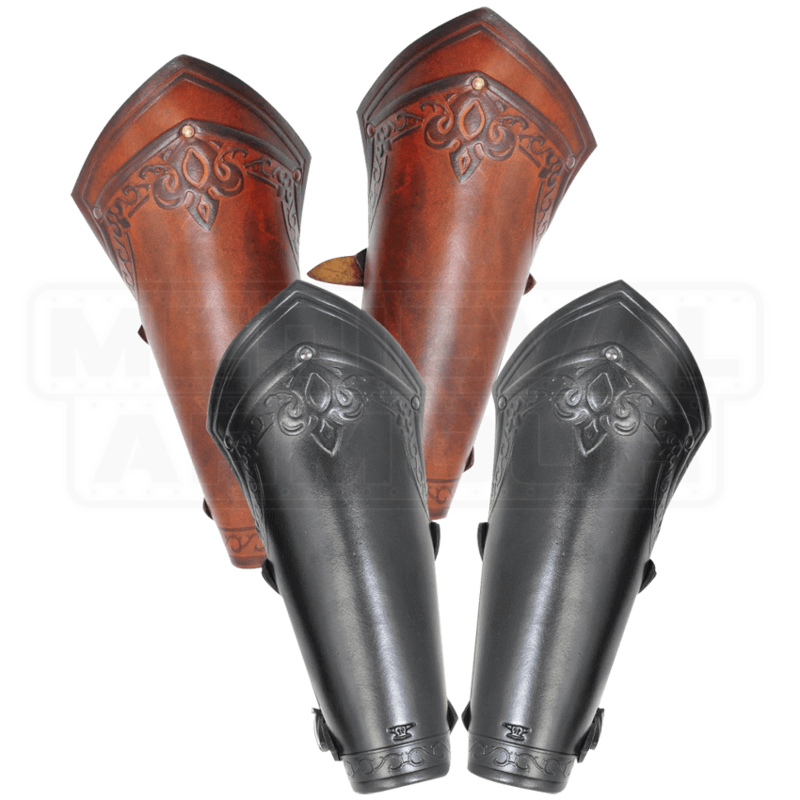 Protect your forearms from needless injury with the Lancelot Embossed Leather Bracers. 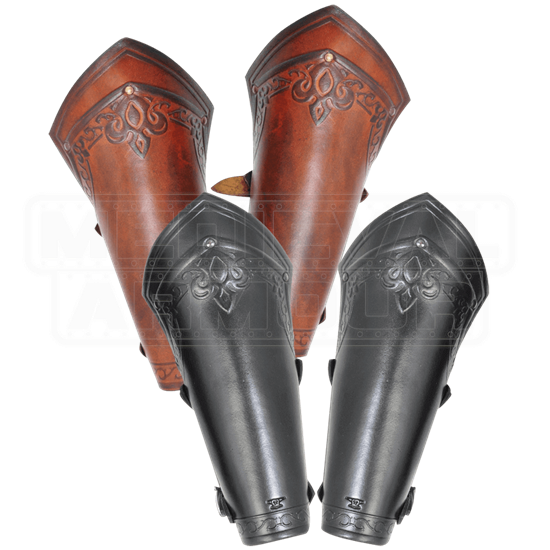 With imagery befitting a warrior of the Middle Ages, this pair not only raises your defense when LARPing, but helps create the look that you desire. Crafted from high-quality leather, the bracers are composed of two riveted segments. Fleur-de-lis embossing and an antique patina finish give it a distinctive, stylish air. Two adjustable buckle straps customize the fit to the arm. 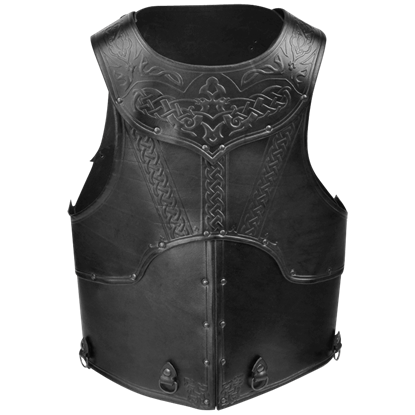 Enhance both the style and defense of your roleplay character with the Lancelot Embossed Leather Bracers.